Washington Times notices DeSmogBlog's Climate "Disinformation Database" | Watts Up With That? Washington Times notices DeSmogBlog's Climate "Disinformation Database"
Washington Times columnist Richard Rahn has noticed his name has been included in DeSmogBlog’s Global Warming “Disinformation Database” – and he’s not happy about it. This past month, I received an email from a European friend (who has a doctorate in chemistry) saying: “Dear Richard: Now you are a member of this illustrious club! I am beginning to be afraid! What is going on?” It seems my name had been put on a “Global Warming Disinformation Database.” This past Saturday, The Wall Street Journal in its lead editorial on the “climate police” noted that the attorney general of the U.S. Virgin Islands has demanded that the Competitive Enterprise Institute (CEI) “cough up a decade of emails and policy work, as well as a list of private donors” (as if the First Amendment did not exist), because the institute has had the audacity to question. 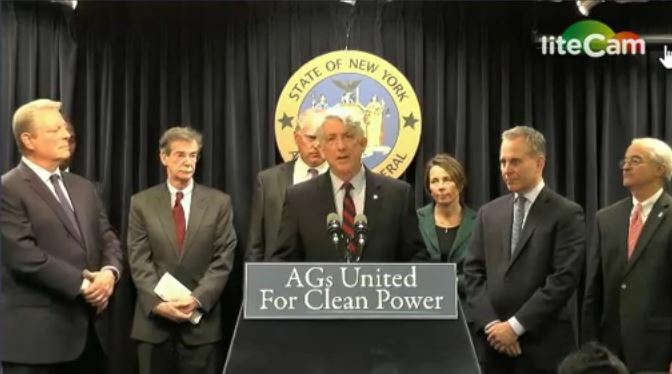 New York Attorney General Eric Schneiderman has invited more than a dozen state attorneys general to join him in investigating fossil fuel companies and their donations, because they raised questions about some of the “science” used by the global warming lobby. Al Gore joined him at the press conference. This is the same Al Gore who told us back in January 2006 that unless we took “drastic measures” to reduce greenhouse gases, in only 10 years the earth would reach “a point of no return.” Mr. Gore also told us the Arctic Ocean would be largely free of sea ice by 2010 — but the sea ice is still there. Naturally the first thing I did was look for my own name. Disappointingly I only rate a footnote in Anthony’s entry, which I guess is better than nothing. On a serious note, it is disturbing that climate alarmists are compiling such ridiculously detailed “dossiers”, given the current US government attempt to revive the abuses of the McCarthy era, as climate advocates lose all sense of perspective in their increasingly desperate efforts to rally their dying cause. May 3, 2016 in Climate ugliness. ← Arrogant Aussie City Politicians Lecturing Farmers on "Sustainability"
As the Obama Presidency fades these people will fade too. This is their last squeal and they are doing as much damage as they can with the short amount of time left to them. Don’t be so sure. Four years of Hillary will serve to continue the persecution, possibly to a lesser degree, but persecution none the less. Sad to say but our only savior appears to be the killing cold. Much like the heat of the ’90s stopped the cries about the pending ice age. What fiances this ignorance ? Drug money ? No George, money spent on drugs. Make that eight years. The same thoughtless voters who gave us eight years of Obama, just to be a part of history, are now going to give us eight years of Hillary for the same reason, and after that the Supreme Court will be a lost cause, so all three branches of Government will be defunct, as in non functional. Well I guess all good things come to an end eventually. If you give enough people enough free stuff, you can literally give everything away. At the time, I stated that 2012 was our last chance to turn things around. I also had my doubts that Romney had it in him to actually turn things around, rather than just be a better manager of the decline. With non-taxpayers now almost 50% of voters, the coming collapse is unstoppable. They’re not fiancéd to it. They’re married to it. Or the election of Trump! Unfortunately, we can’t vote out the press, or Hollywood, or Greenpeace or the Sierra Club. And Obama’s staying in Washington – I suspect he’s about to be an even bigger problem, no longer constrained by the trappings of his office, yet with the weight of a former president – I think he’s about to be a walking lawsuit to any threat to his agenda, and against any movement in the other direction. And that’s assuming the Dems lose the presidency and whoever’s in office doesn’t shaft us all just as badly. And many other NGOS listed. Website also provides information on the donors/funders. Shows the amount of money available to fund the “green” NGO industry and who’s getting it. Trump has stated, in his usual blunt manner, that CAGW is bulldust. If you want I will find the Youtube link. He represents a major threat to the doomsayers. Barbara, of course this list doesn’t include the billions allocated by countries annually to universities for “green pro-CAGW” research. It does not include the billions in subsidies paid by government to corporations and tax incentives to CAGW ideas. It does not include the money poured into green companies by the stock market and investors following the money of the others. We are talking about possibly millions of jobs worldwide that depend on this fallacy continuing. Is it any wonder why people fight any notion that 0.3C change in 70 years since 1945 isn’t the most damaging thing that has ever happened to the planet. The complaints like Exxon may have spent a million or two or the Koch brothers some pittances compared to these many billions but they get the blame for completely destroying billions in advocacy journalism and threatening the livelihood of these people. It’s surprising how tolerant the system has been to the dissenters. We should all be hanging and in jail. In fact, many have suggested that. I am no advocate of fossil fuels but it’s clear the absurd unfairness of the fight for truth. If Donald Drumpf gets into office you’ll just have another New York liberal as president. He is not a friend of cAGW skeptics, I doubt Donald knows what the work skeptic means. Trump is like Democracy: maybe not the best, but better than any of the alternatives. In either party. Going over the cliff at 60mph instead of 90mph is nothing to be proud of. His strong points are also his weak points. But he has a lot of strong points. He is a risk, yes, but a risk with strong upside possibilities as well. I voted for the K in the NY primary like a good RINO. Low risk. But I’ll gladly vote for whoever wins the GOP primary. Whatever the risks of that are, they are preferable to the risks on the Dem side. I was raised and carefully trained to despise the assertion that “The business of America is business”. But the older I get, the more I am on board with it. Trump is a businessman and a negotiator. If he becomes president, he will bring those talents to the table — for good or ill (but more likely for net good). He does appear to know when he is dealing from a position of strength. All those worshiping trump will have the same letdown as the Obama worshipers. Two Narcissists as I see it, both only use the word I, I, I. He is a risk. And I agree that O&T have high opinions of themselves. But, unlike Obama, Trump actually gives some indication of actually wanting the job. And in the areas that matter (mostly economic), he is generally pushing in the right direction. For now, at least. Trump is no friend of the CAGW crowd. He has advocated coal mining recently and has said numerous times the whole CAGW thing is a scam. A gathering of seven carbon-based life forms in such close proximity surely qualifies as Carbon Pollution by EPA definition! I believe the only rational way to proceed is to continue to listen to their predictions and never forget. I have compiled a list of 50+ failed predictions and deceptions. 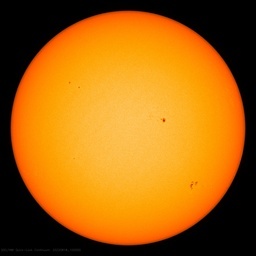 https://logiclogiclogic.wordpress.com/category/climate-change/ if we keep hammering how everything they said is false and been proven wrong eventually they will appear the fools they are. Bingo – if you are actually a conservative, there is nothing in trump’s world for you. @CodeTech What about a Libertarian? And having said that and being reminded about the votes in the coal belt she suddenly remembered that is not what she said. Why don’t you write out a check for $1M, and then find yourself a cheap 50 cent cigar, and light it up with your check. People who are incapable of distinguishing A from B, are going to end up getting either A or B, and with no standing to gripe about it. When the difference between A and B is not enough to matter, it doesn’t matter whether you get A or B. She went on to say the government has to invest in “clean, renewable energy” to bring jobs back. Excess oil production already cut fracking back tremendously. Without the Middle East cutting production, and Iran not financing terrorism by selling oil, fracking won’t amount to much. Coal is in the same shape. Probably should have woke up sooner….It’s a bit late now. The excess oil production has cut fracking considerably. This has caused oil production to start dropping just about everywhere including OPEC (except Iran) and Russia. By 2017, the days of surplus oil will be gone. It will be used up by the gradually increasing world demand where oil use goes up on average over 1 percent a year and by declining production due to low prices. So, by 2017, oil prices will be on the rise and may rise in 2016 in anticipation. If fracking is not effectively banned, fracking will be back and as strong as before by around 2019 or 2020. Trump is a populist candidate running as a Republican. Populism has been growing in the last decade. In fact, obama was himself a populist and Bernie Sanders is a populist on the democratic side. Trump is a pro US business, anti-illegal immigration populist. Trump does not subscribe to catastrophic anthropogenic global warming. Hillary is to the far left but in many ways is more of a European type leftist/socialist. She will generally support the US more than did Obama. But like European leftists, she really is against fracking and coal. She will support the global warming alarmists. Hillary is also someone who can be bought not anymore so much with money but with influence or votes. Hillary would appoint extremely left wing Supreme Court justices if she can get they past the Senate. Trump can’t be bought. He is what he is. Trump as president will only be able to accomplish those things as president a plurality of republicans agree with. Therefore, he is not dangerous. He will tend to appoint reasonably conservative Supreme Court justices and Fed appeals court justices. Trump can win against Hillary or Bernie Sanders. Hillary is so disliked by republicans that most will vote for Trump. Young democrats are also not enthused by Hillary. Trump can take northern states away from the Democrats and can attract many traditional democrats especially blue collar men, truck drivers and etc. Whether Trump or Hillary (if they are the candidates) win in the general election can’t be predicted for certain until they begin campaigning against each other and are in debates. Either could win the general election. Trump actually has the advantage against Hillary but not a huge one. ( I know this is not what most of the polls say but they have been trending towards Trump). The wild card for Hillary is that the FBI might recommend an indictment be brought against her. If this happens, Hillary’s chances of winning diminish. The question becomes does she fight and lose the general election, does Bernie become the democratic candidate or does something else happen? I would love for a libertarian to win, I will probably vote Libertarian this time around. However I don’t expect to see such a thing in my lifetime. Non-taxpayers now make up almost 50% of the electorate. I expect the deterioration to not just continue, but to accelerate. A populist is basically a socialist with a somewhat conservative social agenda. Personally, I’m past the point of caring whether Donald Trump passes any particular litmus test. The fact is that every other candidate is part and parcel of the current government — the government that has caused the problems we face. If any candidate who is a part of the current government wins, all they will do is tweak the system. They won’t do what is necessary to put the country back on the right track. That’s just a given. And we are certainly on the wrong track now. The past 7 ½ years have been disastrous for the average American. Earning power is lower than in year 2000; 16 years with a declining standard of living. The economy is teetering, the U.S. is disrespected in the world, half the population is on the dole, the national debt will soon exceed $21 trillion, and millions of illegals have flooded in, and continue to flood in at an accelerating rate. They are mostly young males with no skills, and they refuse to assimilate. They are a ticking time bomb. If it were not for Trump, the rising tsunami of illegals would still be on the back burner, and the other candidates would be competeing with each other to offer another “amnesty”. Is there any doubt? If there are problems with Trump, there are bigger problems with the rest. If Hillary is elected she will continue Obama’s destructive policies. That’s why she won’t be indicted for her multiple felonies. Continuing Obama’s policies is her ace in the hole. It’s what protects her. I like Cruz, too. But Cruz can’t win. He has no ‘fire in the belly’ — a requirement for any candidate in this election. Trump will take the fight to Hillary. He may destroy her with unending attacks. I’m willing to put up with a lot of negatives to make our country great again. It can be done. But it will take an outsider; someone who isn’t part of the current gang, whose top priority is keeping their cushy seats. Or worse — someone intent on taking America farther down Obama’s path to destruction. CodeTech: Trump’s not conservative, but he is, at least, a capitalist, and capitalism is Darwin – that’s at least something to hope for. I’m not exactly wild about pinning the hopes for the country and the world on Donald Trump, but at this point we’re looking for a Hail Mary. Interesting times ahead – just like the old Chinese curse. Well in New York, Clinton handed Commie Sanders his head on a platter. And Sanders outvoted Trump by a landslide. So don’t count on Trump to win anything when the big dance happens. And the so-called Republican party are finally taking off their sheepskin disguises, to reveal the Jackals beneath. The millennials are too busy playing with their finger toys to give a rip about anything. Just wait till they find out that it is they who are going to pay for all of this. Trump is at best a crony capitalist. He’s relied on his friends in govt to help with all of his big projects. Codetech I can believe all those conservatives on TV who did not think Romney was conservative enough are falling for the populist crap. “Well in New York, Clinton handed Commie Sanders his head on a platter. Since New York has a “closed primary” system, wherein one needed to be registered well in advance of the voting, and could only vote as they were registered (Dem or Repub), the numbers do not represent a valid measure of how the winners in each Party race would do in a general election. There were twice as many Dems able to vote (registered by Oct.), as Repubs, so a large difference in favor of the Dem was virtually guaranteed. Newt quoted an obscure Trump book which explains DJT’s forcefully disproportional retorts to negative comments leveled against him. If Newt is reading Trump, perhaps you should too. All/most are available for Kindle for maybe Ten bucks each. TAOTD was worthwhile, last year’s may be too, I just started. The man has depth and brains. I agree. She will continue this fantasy as long as she can. Hillary is not as ideological as Sanders. I believe she thinks she will do whatever will be politically expedient. That’s her idea of “uniting” people. Trump will straddle the political fence. He won’t be ideological either. However, he will be looking for deals that produce economic benefit. He will compromise values and if there is some inbetween solution that includes continuing CAGW subsidies he would do it as long as they don’t suggest something that will hurt the US inordinately economically. His focus will be economic not political deals. I can only aspire to getting a mention on their database. I was thinking, if I ask them very nicely would they possible add my name to the list. If you nominate yourself they will probably ignore you, but if you have a contrary friend do it then you may have a shot. As a friend of the earth, I’ll “nominate” anyone that would like to be on the list. So is that where the 97% certainty of scientists really comes from? Not alarmists, alarmists are recruited to run them. Foundations concoct and fund these DBs.. who is funding Sks and DesMog anyway? PS—in addition to the publications, my citation count is over fifty now … lying jerks. Not lying jerks, just stale data. Well, lying jerks with stale data…. Well good for them that you aren’t Michael Mann (and good for you!) since he’d consider it libel. While there is honor in being listed, they should get the facts straight and appropriately recognize your accomplishments. That’s why skepticalscience has its own special category in the sidebar: UNRELIABLE. Cook could have put himself in Patton’s uniform, or Montgomery’s, or plenty of others. Instead, he chose a Nazi uniform. That says a lot about John Cook. Who knows, they might have made them to put out there and claim skeptics did it. Our side should be cautious about making unfair inferences about this photo. !) 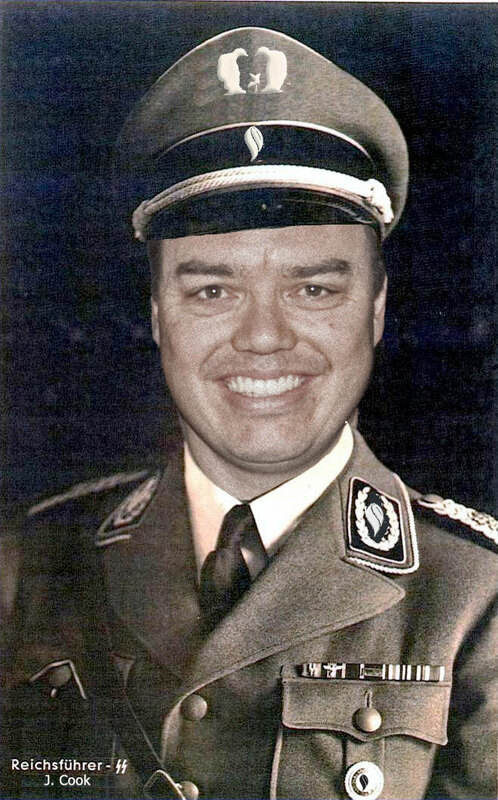 I’ve heard that it wasn’t Cook himself but one of his colleagues who did the photo-shopping; 2) others without Nazi sympathies have played actual dress-up in this fashion: e.g., the Rolling Stone and Prince Andrew; 3) the Nazi insignia on the uniform have mostly been replaced by his site’s symbols. Has Cook ever disavowed the Nazi dress-up pics? Nuccitelli hasn’t disavowed the pics, either. Alan Cates … of course he knows it’s photoshopped! Nobody thinks Cook and Nuccitelli were German soldiers in WWII. The photos were discovered on the Sks website. The question is … who created the photos and why? Since their discovery, we’ve had a lot of fun making jokes about them … maybe too much. However, you can’t honestly say that if the tables were turned, and similar photoshopped pictures of our WUWT host were uncovered, that Alarmists wouldn’t have had a field day with them. Right? Miso Alkalaj … yawn. We’ve already seen that picture. 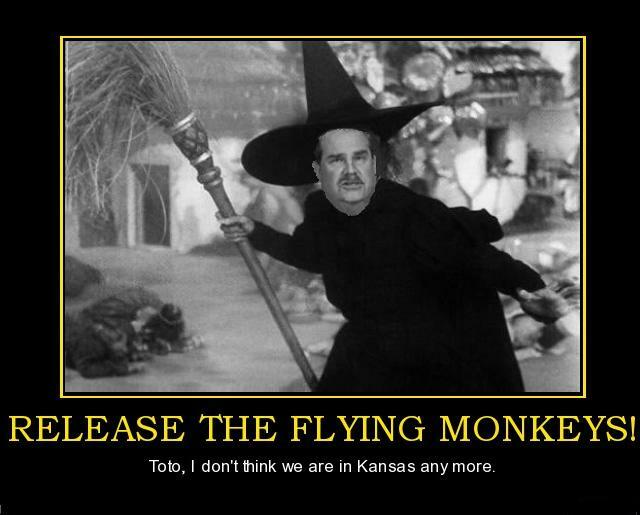 It was featured prominently, here on WUWT, to great hilarity. It was discovered at Sks about the same time as the other photoshopped pics. Those are some really creepy folks over there at Sks. Miso Alkalaj … on the contrary, I’m fully capable of distinguishing the difference. Are you? No Willis, gas chambers don’t crack me up, but you do. This also cracks me up. They had better watch out or that Disinformation Database might backfire on them because there are some very great and learned scientists mentioned there. The authors of at least two of my college textbooks are on the list: Reid Bryson and Don Easterbrook. Reid Bryson was essentially the “father” of scientific climatology. My smartphone ran out of memory browsing Dr. Roy Spencer in their Global Warming de-nile database. I thought it is supposed to be Climate Change de-nile! It is like they took the very worst aspects of “religion”: do horrible things to other people in the name of [insert deity/cause]. Never mind that such things are (usually) forbidden by [deity/humanity], it is for the [deity/earth/children/special interest group]! I do not believe that there is anyone in the elite alarmist circles who is actually concerned about potential suffering or dangers. If they were, they would not be promoting actions that will entrench and worsen poverty, among other detrimental effects. This nonsense is all about self-aggrandizment, personal gain, amassing power over as many people as possible, and assuaging their deluded guilt about actions/attitudes of other people in the past. Pseudo-martyrdom, self-victimization, and poverty worship are three of the most annoying and dangerous ideas anyone can have. Get over your special snowflake self, and let the rest of us live in peace! It’s this bit I’m unsure about. Not at all certain that it isn’t ever increasing confidence resulting from their voodoo witchcraft holding a vice-like grip on all of the elitist dominated western governments. Their confidence now appears so complete that they even ride totally roughshod over the constitution with barely a squeak of protest. And furthermore they aren’t going to let go without a popular mass revolution of some sort. I tend to agree with cephus0. The Alarmists have too many political leaders, and virtually all of the MSM in lockstep with alarmism … not to mention most cultural icons and environmental activists. And there is a large degree of collusion going on between those groups. Science is on our side, but as many have noted, this is no longer about science … it’s political and cultural. The Alarmists claim to have science on their side, but we know that is false. We use science and logic to dispute their claims, but they call us anti-science. Since they use every tool at the disposal to shut down dialogue/debate, so our voices are rarely heard. Very disheartening. Trump will change all that. The U.S. government will be on the side of the skeptics for once. “They have so many new terms because the old ones don’t work anymore,” he said. “When asked about his position on climate change, Trump said that he appreciated some environmental efforts and touted awards he was given as a businessman on the issue. ===””With the coldest winter ever recorded, with snow setting record levels up and down the coast, the Nobel committee should take the Nobel Prize back from Al Gore,” the tycoon told members of his Trump National Golf Club. What do you think “conservative” is? A conservative is someone who wants a smaller govt. Trump’s record there is not reassuring. But Trump has no record in government. That’s one of the best things about him. Trump is the first person in the last 30 years at that level who actually punched holes in the Reality Warp that’s engulfing us. And he’s even bringing out the Inner Brownshirt in the modern Left (witness the antics in Chicago and San Francisco). That’s good enough for me. He has no record in govt, however he has a long record of working with those in govt to transfer wealth in his direction. He also has a long record of approving bigger govt. This is a political witch hunt, and they’ll most likely get caught in their own trap after Obama loses power. Trump wants to introduce free enterprise into the Health Care arena. That’s conservative. Trump wants to cut taxes. That’s conservative. Trump says CAGW is a hoax. That’s maybe not exclusively conservative, but it is correct. Trump wants to relieve American companies of crippling regulations. That’s conservative. Trump wants to rebuild the U.S. military. That’s conservative. Trump wants to kick the hell out of the Islamic Terror Army. That’s conservative. Trump is a heck of a lot more conservative than Hillary. How about you naming something that you think Trump is going to do that is *not* conservative, rather than just making a blanket negative statement? Real telling about Trump is the coalition of so called disparate parties aligned against him. The Dims,Rips, media, bureacrats, labor unions, crony capitalists, Catholic Church, Chinese all criminal enterprises that profit from the “waste and inefficiency” of government. Excellent point. But you missed the biggest player in the coalition against him: the neocons. Their flagship media enterprise–which sets the agenda for the neocon masses–the National Review, devoted an entire issue to take-down Trump. The NR has stolen the “conservative” label, and deigns to determine what is “conservative” now. They care not one whit about stopping the AGW scam–they’ve been in power in Congress for 8 years and were in power for years before, as the AGW scam was first developing–when it could have been strangled in the cradle. The neocons talk a good game, but the proof is in the pudding. They only care about continuing their war-without-end in the Middle East. And that is not American conservatism. Stopping the AGW scam is. You’re exactly right about the neocons. They were given the House and Senate specifically because they promised to defund Obama’s destructive policies, but as soon as their landslide was predicted on election night, they turned 180° and announced that they’d been elected to help Obama implement his policies instead. That was the movement when everyone realized that they were all total frauds. Total frauds. The commotion they made about opposing Pelosi and Reid and Obama was all a ruse. They are quite happy with Obamacare, waves of illegal immigration from as far away as China, Pakistan and ISISstan, spiraling debt, and Climate Change fraud and waste. And that night was when an opportunity opened for Trump. I’m no longer a Republican and may not even be a voter anymore. I’m certainly over the old “You gotta vote for me to stop their liberal” scam. The results of those matches only determine which liberal gets wealthier, the one who calls themselves a liberal or the one who calls themselves a conservative. Trump wants to cut taxes, rebuild the military, and reduce the deficit at the same time. Trump wants to whoop up on ISIS, but he doesn’t want to use any American troops to do it. If you listen to Trump long enough, he’ll take every position on any issue. db, why don’t you address the points that I raised? One thing I like is that he’s not a politician. If he makes misteaks (who doesn’t? ), they can’t possibly be as big as the mistakes — deliberate or otherwise — that got us in our current predicament. That includes both the Republicans and the Obama/Hillary clique. Anyway, Trump is the last man standing. The others have bailed. Now it’s Trump vs Hillary. Trump is also more conservative than the entire Republican House and Senate. I don’t see Trump spending more than he takes in. A lot of real climate scientists in that database and many other very qualified folks. However when I research desmogblog I can only find two lawyers and a guy with a BA in sociology. I’m sticking with Science thanks. The truly scary thing is that Clinton and Sanders are running on the premise that Obama did not go far enough on global warming. If “they” truly want to “fundamentally change the world economy” (as has been said on more than one occasion), why are they using the fig leaf of #ClimateChange™ in order to try to do so? Why are “they” not coming right out and talking about how this would be accomplished? Sort of off topic but I am having trouble understanding why so many AGs are needed for their investigation. Shouldn’t just one be enough? Or is it more “authoritative” if there is a gang of them? I’m not that familiar with US law but I have heard the term “special investigator” like Ken Starr. Please advise. “Special Prosecutor” is a Federal Govt. thing. These are all Attorneys General of individual States or Territories. It’s a share the expense kind of thing, plus make things tougher for the defendant as he has to respond to many AGs with different demands, at the same time. I notice that for a “small fee”, DeSmog will research anyone you suspect is part of the scientific community and not the propaganda wing. Wonder what happens if one picks the name of a warmist with a completely pure record. Do they refund the fee? Refuse the fee in the first place? What’s a bit galling is that Lewis Page (late of The register) gets his own page too! Plainly you have not been noisy enough. One might think that it might backfire to make a list of the people who disagree with the CAGW meme. As the list gets extensive, people might start to suspect that the 97% consensus story is a made up one due to the sheer number of highly academically and otherwise qualified “dissenters”. They might even begin to suspect that the science might not be settled, after all. That thought had occurred to me. What am I, chopped meter? No Svalgaard or Tisdale, so you’ve done a bit better than some of the top people from these pages. Consider yourself lucky, when the Inquisition squad comes marching down your way, they may carry on without stopping. I had lawyer friend tell me once that there is “no such thing as a lie in the courtroom, only competing versions of the truth”. And it’s a lawyer’s duty to argue and present that “version” which best represents the interests of their client. For Al Gore and all his flying monkeys, the AGs shown in the lead-in photo of this post, CAGW doesn’t have to be technically “true”, merely plausible, they will say whatever they have to in order to get the big payday. There is precedent, Al Gore’s 2000 presidential running mate, John Edwards, a nationally acclaimed slip-and-fall lawyer grew very rich by blaming obstetricians for Cerebral Palsy without evidence. Then came the Tobacco Master Settlement Agreement (TMSA signed in 1998) where 46 state AG’s granted the nation’s 4 largest tobacco companies immunity from lawsuits by actual smokers of tobacco in exchange for $250 billion dollars to be paid out over 25 years. The US Gov’t usurped and then nullified the rights of a narrow class of plaintiffs; smokers. I didn’t think something so blatantly unethical could happen, but it did. The AGs just nationalized the profits of the tobacco companies. Fast forward to 2016 and a TMSA style of “agreement” is definitely in the works for “Big Oil”. You have to realize that over 90% of tort cases never make it to court, but get settled beforehand. The “plaintiff” will have to be the gov’t because they want the money for themselves. But what could they possibly claim as an “injury” or “damage” from climate change to pin on the oil industry? If America takes a hard turn to the left and elects a Bernie Sanders, major players in the energy industry could be forced to pay unknown obscene amounts of money to people that have never been responsible for anything good in their entire lives, but who love destroying scapegoats on the altar of an imaginary problem. It’s like that bad dream where you can’t wake up…lol. I read deSmog’s write-ups on five familiar people: Joe Bastardi, John Coleman, Anthony Watts, Roger Tattersall, and Willis Eschenbach. In general, I saw no manipulative attitude or negative connotation given to these five hard-working men other than the usual ‘skeptics’ moniker. While the guys on the list could fairly and rightfully complain about being on the list at all or from possibly important omissions, I will say deSmog basically wrote neutral articles on those five, in what I consider to be their skeptic “wiki”. In this case, we can’t complain that skeptical positions and opinions weren’t covered there, unlike the rest of the media. The old saying might go good here in this situation: ‘even bad press is good press’. I thought that each of the five men’s basic points of views were highlighted without apparent embellishment or malice. That’s very important to me, that they appeared to have accurately portrayed at least a small but basic part of each of your individual many-faceted and informed positions. As to the larger issue of deSmog’s database – they haven’t proven that anyone on their list spreads any disinformation. Where’s the evidence? Is just an accusation all that is needed anymore in today’s world? The deSmog list is just another instrument of the green hydra, used like a scarecrow to shame and frighten anyone else from daring to stray off the warmist plantation into skepticism, scientifically, politically, or culturally. Don’t worry, they didn’t touch you guys, and someone may yet be drawn to skepticism from reading your write-ups. The alarmists generally engage in “projection”, ie, they do what they accuse us of doing, ie the alarmist smokescreen is the real PR pollution, rendering deSmog’s byline a hypocritical joke – “Clearing the PR Pollution that Clouds Climate Science”. Who put them up to this? Who told them to go out and ‘name and shame’ ‘the den__rs’? Willis showed that their write up on him was a hatchet job. “Willis showed that their write up on him was a hatchet job.” How would anyone know? It looks like Willis and the others have been over the target enough times that they’ve been noticed. – Showing the prevailing warmist mentality of willful coercion in order to put those they deem off their script back into the alarmists’ teeny tiny little IPCC mental box. That was a hatchet job. The alarmists and others are still insisting we follow their failed CO2 junk science. I wonder if his clients know that one of their vendors is publicly attacking the very same clients he is getting money from. I was so proud when I found I had made the list , I posted it on my http://CoSy.com front page . which ] did give me an insight into the pal review game . Nice of desmogblog to provide a list of preferred authors when I look for reading material on AGW. Would this count as a variation on the Streisand effect? If America is so hell bent on Global Warming why does it have the lowest gasoline prices in the western world? This was true long before the AGW religion took off. Careful, it’s only because they haven’t figured out a way to tax gas an additional $3-5/gallon and get away with it. This the return to superstition and magical thinking that James Burnham warned of in his book “How Superstition Won and Science Lost” from 30 years ago. Superstition is functional and hard to stamp out. It gives the average person an explanation and something to believe in, and it keeps the elite on top. DeSmog is so low on the Alexa database that it doesn’t even register. No doubt this article will give it more traffic than it’s had in the past year. The Constitution is one of the genius works of all time. It’s right up there with the works of Plato and the other great thinkers. The Constitution foresaw that untrammeled democracy might have pernicious effects. That’s why it protects anonymous pamphleteering. The Constitution protects us from idiots like the attorney general of the U.S. Virgin Islands. The Constitution is why America isn’t just another banana republic. Behind Desmog are Big Bucks. It’s time somebody went after THEM. What I liked was for Willis, they used SkS as the source of the review for his work. SkS is “Unreliable”. They are not a credible source for Willis’ publications, or for any other skeptic’s. I don’t rate them that high. That was my point really. db, you could have stopped after the third word. They aren’t a reliable source for warmist publications either. Lois Lerner also kept lists at IRS. I had a look at the list of folks in the “database” and decided it was a pretty august group. The group associated with desmogblog is likely to be pretty puny in comparison. More weight could be provided by scientists who have pass away, but who were skeptical about global warming while they were with us–such as Philip Abelson who said “… if the situation is analyzed applying the customary standards of scientific inquiry one must conclude there has been more hype than fact.” Science 31 March, 1990. Does this low life benefit financially from these name searches? Just asking. Willis and other WUWT contributors, I have three ideas for future articles. 1) Comparative analysis of NOAA/GISS data/charts from the past and present exposing the massive “massaging” of data making the past cooler. 2) Comparative analysis of Micheal Chrictons “guess” of 0.82 degrees warming from 2000 to 2100 versus the UN models. 3) A discussion of why temp data from pre-1850 was “disappeared” from the NOAA GISS websites soon after the publication of “State of Fear” just as predicted by Chricton (no need to mention Chrichton). For those willing to gamble, you can still get 80 to 1 odds on Joe Biden winning the Presidential election… If Hillary is indicted he will be a near shoo-in. But… what are the odds ofHillary getting indicted? Answer: a lot more than 80:1 against. Why smear McCarthy by tying him to Gore? I have just sent a respectful request to be added to the database. I’d love to use this on my CV. Is “Oregon Petition” the name of an “individual” now? Discredited the whole article by disparaging resistance to Communist infiltration. McCarthy was correct, Soviets infiltrated the State department. The only “abuse” was from the fellow Communist supporters of that infiltration.